Below you will see the overall state Top 10 along with each conference’s power ranking. Here is the mathematical breakdown of the Power rankings.. Each team receives an overall state wide ranking within each conference.. For Example the Metro has 6 teams with (1, 1, 10, 23, 24, 26) order. This totals 85 which is then divided by the # teams in the league (6), giving the conference a score of 14.1… The Conference with the lowest average total will have the highest ranking. **The Overall (1-42) and Conference Power Rankings are below. 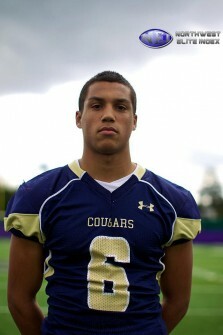 Arizona Commit- Jordan Morgan (6-2 200 Sr. WR) of Southridge. Typically the toughest conference in the state. Southridge and Jesuit will be in their own category this season and most likely the top two teams in the state. Sunset will be good, with schools 4-6 all being very comparable in talent. As always the Beaverton School District produces some of the top kids in the region. 1. 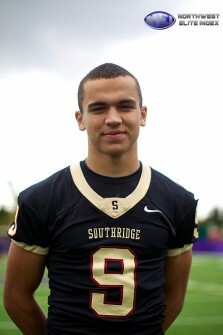 Southridge #1 – The Skyhawks are loaded on both sides of the ball. They have beaten Jesuit the last two seasons and have outstanding coaching. AJ Woodin will have 3-4 very talented receivers, including the NW’s top ranked WR in Jordan Morgan, committed to (Arizona). This and two of the state’s top 5 RB’s in (Devin Martinez, Jake Pruit). 2. Jesuit #1 – Joey Alfieri and Henry Mondeaux are two of the top players in the country with Trent Werner and Chase Morrison looking like All State athletes. The big question mark will be on the line where the Crusaders lose 4 D1 kids from one of the top up front casts in state history. 3. Sunset #10 – Another team that has legit skill kids up and down the board, but many unanswered questions on the line. Josh Brown has become on of the most recruited kids in Oregon, and Alex Betancourt had a nice Showcase. They will be thin up front. 4. Beaverton – Will be very similar in talent to Aloha and Westview. The loss of Evan Colorito, Devasyia Hagger, and Malik Fontelroy is big as some of the young guys will have to step up. Once again they play a very favorable non league schedule. 5. Aloha – The Warriors lose the most productive class to ever come through the school and it will be tough to make for all the talent. The loss of Tyner and a legit D1 line is big. 6. Westview – Overall one of the most athletic schools in the state, but their football program has continued to struggle. We will see if this senior group can make a difference. TRL POY Candidate, 1st team All-League LB Sam Bodine. Hands down the most competitive league in Oregon this season. All six of the teams will rank in the state top 20. Lake O hasn’t lost a conference game in a decade and its extremely hard to predict that happening, but if there’s a year its this one. More then any conference state wide the TRL is up for grabs. 1. Canby #6 – The Cougars could have one of the more talented teams in school history, with a line that will average 6-3 280 across the board and Player of the Year candidate Sam Bodine returning. Skill kids are everywhere with Dominic Shorter and two of the state’s best junior’s contributing in Devon Fortier and Jace Cates. 2. Lake Oswego #7 – The Lakers lose a bunch of starters on both sides of the ball, but Coach Steve Coury is a legend for a reason. Until they lose they are the unquestioned team to beat. Nick Underwood and Jordan Horak will have to go off. 3. West Linn #8 – Hayden Coppedge and Cam Schmitz are two of the better players in the state and should do well in Mike Fanger’s system. The Lions are thin up front but have three very talented lineman in (Bagley, Eaton, and Isaiah Molden) returning. 4. Clackamas #9 – The pressure is on for the Cavs to win this season as they return a very talented senior class that has won consistently coming up. Coach Bushman has a bunch of talented kids, including RB Daniel Sherrell (2100 yards, 27 Tds in 2012, and D1 projected kids Brody Haehlen, David Reese, Zach Farnes). They should make a run. 5. Lakeridge #13 – The Pacers will be a good team on a state wide level, led by Northwest great Tom Smythe. That said its a deep conference with a bunch of other top ranked teams so it will be interesting. Transfers are coming in from everywhere. 6. Oregon City #16 – O.C. will be on of the better teams in the state in the coming years as both freshman and JV squads didn’t lose. Coach Kevin Strasser has done a phenomenal job getting the program turned around. Marty and Lane Johnson are two of the most respected high school coaches in the country and will once again lead a very talented Sheldon group. The top two teams in the league are most likely set, with school’s 3-7 all being somewhat of a toss up. 1. Sheldon#4 – The returning state champs lose a very talented senior class, led by player of the year Connor Strahm. The Irish will still be really good with the likes of younger brother Kellen and talented seniors Liam Talty, Mitch Herbert, Yadie Dunmore, and Tanner Davies. The big question will come at QB where Sheldon had Jordan Johnson, Dillon Miller, and Taylor Alie leading over the last 5 years. Joseph Kuehn looks to be the replacement and has some big shoes to fill. 2. South Medford #11 – Coach Bill Singler and his guys continue to challenge for the SWC title every year and this season will be no different. Jr QB Craig Contreras stepped in last year and took over as the starter, and he will need a big season for the Panthers to compete with the Irish. 3. Thurston – Give Coach Justin Starck a lot of credit. Year in and year out he gets the most out of his guys. The Colts lose a majority of their starters but they always compete. I think Wade Perry is one of the more underrated lineman state wide. 4. North Medford – Maybe the most improved team in Oregon, starting 13 sophomores last season. The Black Tornado went (2-8) in 2012 but return everyone and have a special 2015 class to build on. 5. Roseburg – Thurman Bell is one of the all-time greats, but the Indians just don’t have the numbers and players that they used to. Cody Walker will return as a 2nd team all league DB, but there are many questions. 6. 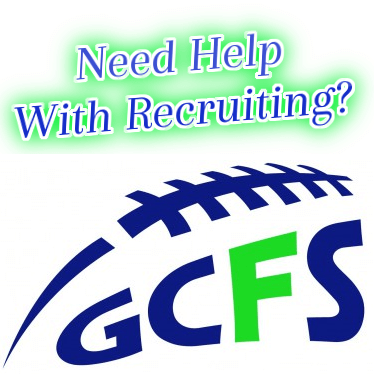 Grants Pass – Numbers have been up at GP as youth football looks good. 6-7 255 monster D lineman Drake Brennan is back, but the Cavemen are largely untested and will have to win with some new faces. 7. Crater – Another team that loses a couple big time senior’s in Arizona bound commits Derrick TuriTuri and RJ Morgan. They will be very light up front and will look to talented athlete Kory Bennett to make some noise. 8. South Eugene – Coach Chris Miller will get things turned around at South, but it might take a little time. The Axemen have been in the cellar for the last few years and now have a guy that can lead them out. Definitely the Conference that has struggled the most to advance its teams deep in the playoffs. Its been 30 years since a team from the Mt Hood played for a state championship (Gresham 1983). Central Catholic is once again the real deal and could very well make a run at a state title. Other then CC the conference is somewhat up in the air, with Barlow bringing back some talent and Reynolds having a quality senior class. 1. Central Catholic #3 – Player for Player maybe the most talented team in the state. DE Conner Humphreys has 15 offers including USC and will be a difference maker, while top RB/LB Ryan Nall just added his 5th offer from Oregon State. QB Aidan Wilder will be in his 4th year as the starter, and has talented kids all around him including top junior tailback/safety Cameron Scarlett, and top Oregon CB Aaron Washington. 2. Barlow – The Bruins are consistently one of the better teams in the Mt Hood. Junior D end Will Allen (6-3 260) is a beast and they have skill kids that did well last season including QB Alex Plusquellect. 3. Reynolds – The Raiders have a legit senior class, led by third year returning starting QB Josh Schleining. He will have multiple skill kids to go to including Quentin Bates and Hutu Spencer. Reynolds is (13-47) since 2006, going 5-5 last season so this could be there best year in awhile. 4. Centennial – You never know what you are going to get out of the Eagles, but they always remain competitive within their league. AJ Wienke will be back as a four year starter and someone that scored 8 varsity Tds as a freshman. 5. David Douglas – Head Coach Dan Wood always has his guys ready to go, and Conference Player of the Year Candidate Andre Reasno is a game changer. They only return 6-7 starters from a season ago. 6. Gresham – The Gophers have improved every year, but the graduation of one of the best players to ever come through the school will hurt (Devauntae Hoffman). His brother Sirgeo is a talented kid as well. 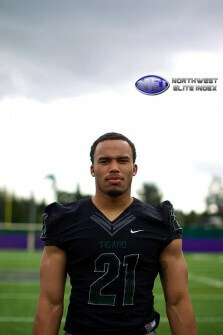 This will be somewhat of a down year for the PAC as Tigard should run away with the league title. They are loaded once again and will be done by halftime in most of their conference games. Tualatin and McMinnville will compete, but the remaining teams will be fighting for position from 4-8. 1. Tigard #5 – Tigard will be the overwhelming favorite to win the Pacific. Manu Rasmussen will be a conference player of the year candidate on both sides of the ball and AJ Hotchkins could be a double digit D1 offer athlete. They lose the three headed monster out of the backfield, but return one of the fastest rising QB’s in the region in Jett Even and potential breakout slot Daren Rodrigues. 2. Tualatin #12 – The T Wolves are always good but they won’t be super deep. Chandler Schoonmaker will be one of the conference’s top overall athletes and Junior’s Cam Frey and Garrison Saina should play a big role. 3. McMinnville – Gage Gubrud is one of the better senior QB’s in the state and he will need to lead in a big way after the loss of conference player of the year Spencer Payne. 4. Forest Grove – The Tigers have some talented all league kids returning, headlined by 6-2 Safety Zac Collins who should be one of the better players in the Pacific. 5. Glencoe – The Crimson Tide had a talented senior class last season that almost upset Aloha in the state playoffs. Glencoe has tradition on their side, but they will need kids to step up. 6. Century – The Jaguars lose everybody and will have a tough time competing this season. Head Coach Bill Smith does a great job, but the senior class that just departed was special and will be missed. 7. Newberg – The Tigers now have a beautiful brand new field, but have had a very tough time getting the program off the ground. It remains a work in progress. 8. Hillsboro – The Spartans return one all league athlete in Michael Gaskell after an (0-10) season. Hillsboro is in the middle of a team overhaul. The two schools that play 6a football in Portland always compete as they have talented athletes. Both schools should be very comparable this year, with a bunch of talented young kids on each roster. 1. Lincoln – Jaray Kindell will be a conference player of the year candidate and Nate Ostmo is a talented junior. They have some impressive lineman and backers if they remain eligible. 2. Grant – Diallo Lewis always has his guys ready to go as the Generals have athletes up and down the board. Junior Sam Davis returns at QB after an outstanding sophomore season, and fellow 2015 RB/LB Dominique Penn should do well. The CVC is going to be a toss up this year as McNary could very well come in and win the league title. West Salem seems to always find a way to win as Coach Stanley and his staff do a phenomenal job. Celtics second year coach Isaac Parker does good work and will have his kids ready to compete. 1. West Salem #14 – 2012 NEI Coach of the Year Shawn Stanley’s seems to always find a way to get things done. He will have the top Jr. QB/WR combo in the state in Cade Smith and Keegen Hlad, but the Titans will be thin other then that. It will be interesting. 2. McNary #15 – The Celtics have a legit senior class and some very talented younger athletes and should compete for the conference title. Perry Groves, Garrett Hittner, and Brett Hidebrand all rank among some of the top athletes in the state at their position, and will need to lead as senior’s. Hayden Gosling will be back as the starting QB. 3. South Salem – The Saxon’s lose some productive senior’s, but have a talented cast of skill kids returning in QB-Sam Tweedt, RB-Josh Benton and WR/S Kevin Martz. 4. Sprague – The OLY’s lose double digit starters on both sides of the ball after last years quarterfinal run. They will be young and inexperienced, but do return one of the state’s better lineman in 6-6 sophomore Levi Long. 5. McKay – The Scots have a new coaching staff led by Ken Koberstein which is a big boost for the school, but most of there top guys are unproven so there is still a ways to go. 6. North Salem – The Vikings went (0-10) last season, but they to are improving. Junior QB/ATH Jerrin Williams is a kid we really like.